Recreational marijuana sales will launch in three states next year, including the biggest one of all: California. It's already for sale in five states, but the addition of a legal retail marijuana market in California, with its massive economy and population, will dramatically change the landscape. California is aiming to open retail marijuana stores by January 1, Massachusetts and Maine plan to open stores next summer. "We obviously still have a lot to do, but yes, we're going to be ready to go on January 1," said Alex Traverso, spokesman for the Bureau of Cannabis Control in California. "We will be issuing new regulations in November, so we're hard at work on those at the present time." Among the checklist of expected regulations is new oversight on water usage -- like drip irrigation and reusing waste water -- that could prove expensive for marijuana businesses. Other rules will require licensing and background checks for distributors and safety and education training for consumers. Dispensaries like Green Alternative, which has 10,000 patients in San Diego, are getting ready to add non-medical customers to their clientele. "We are in the process of stockpiling cannabis in order to fulfill the market needs," said Zach Lazarus, COO of the Green Alternative. "We believe there will be a huge rush. We go through two to four pounds [per day] on average, and we anticipate going through three to four times as much when we open the doors for recreational." 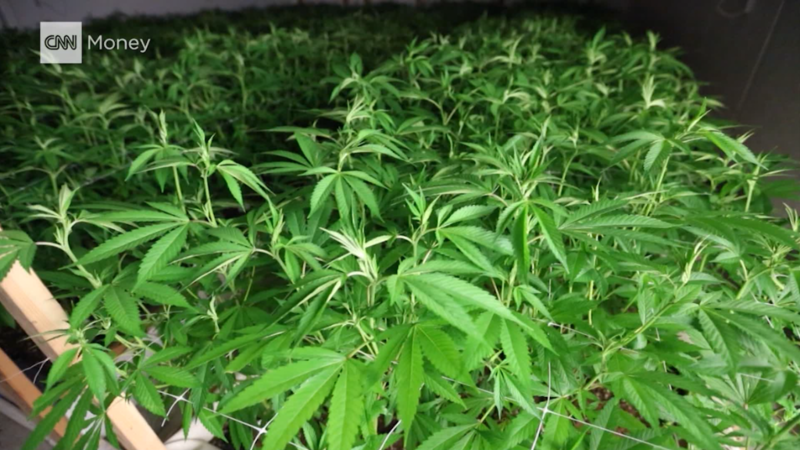 This requires not only stockpiling pot, but negotiating hurdles on the state and local level, for licensing, zoning, taxation and other issues. Erik Altieri, executive director of the pro-legalization group NORML, said it might take longer than January "to set up the regulation process and to work out how the new recreational market will exist alongside its already quite large medical market." The Bureau of Cannabis Control in California put its proposed regulations up for public review and began holding community workshop meetings in Long Beach, Fresno and Sacramento in September. Massachusetts will implement retail marijuana sales on July 1, once state officials finalize whether certain localities will be able to maintain a marijuana ban in their respective towns, said Altieri. "We are committed to make that deadline," said Steven Hoffman, chairman of the Cannabis Control Commission in Boston, which held its first meeting on September 12 on developing and implementing regulations. Maine would have the smallest market, and it's unclear when they'll get it off the ground. Dan Tartakoff, clerk for the Marijuana Legalization Implementation Committee of state lawmakers, said draft regulations were released in September proposing a 20% tax rate. These states already have medical marijuana programs and dispensaries, but soon they'll also have stores that can sell recreational marijuana to anyone 21 and older. Recreational marijuana dispensaries already exist in Colorado, which was the first to legalize adult-use pot in 2014, and also Washington, Oregon, Alaska and Nevada, which started in July this year. Voters in California, Massachusetts and Maine approved legalization of recreational marijuana in referendum votes in November 2016, on the same day that Donald Trump was elected president. It typically takes at least a year for state officials to set up regulations for the industry. The addition of California could grow nationwide sales to $24.1 billion by 2025, according to New Frontier Data, which tracks the cannabis industry. That's compared to $6.6 billion in 2016. California was the first state to legalize medical marijuana, in 1996, and sales for that market are expected to total $2.76 billion this year. Opening the retail market will expand sales dramatically, to $3.8 billion in 2018, and to $6.6 billion in 2025, according to projections from New Frontier Data. It also means the entire West Coast will be a free zone for retail marijuana as the industry gains its first legal markets on the East Coast. North America is going to grow even greener next year, because Canada is getting ready to legalize recreational marijuana nationwide. In Massachusetts, sales are expected to increase from $106 million in 2017 to $457 million in 2018, and eventually to $1.4 billion in 2025, according to New Frontier Data. The market is smaller in Maine, which is expected to increase from $83 million this year to $175 million next year, and to $434 million by 2025. Recreational marijuana is also legal in Washington, D.C., but there is no legal retail market for it. Residents are allowed to possess, grow and consume marijuana on their own property, but not buy or sell it. Marijuana is actually illegal according to the federal government, which equates it to heroin. Attorney General Jeff Sessions has said he opposes legalization, but he hasn't done anything to crack down on the industry.